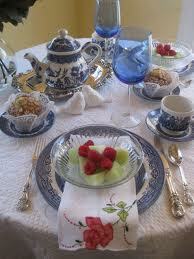 Imagine.... celebrating someone's special birthday with Afternoon Tea on china with crisp linens. .....A calming thought..... Kindly call for a reservation ....610-7598276 ....a few weeks for groups .. for best availability. 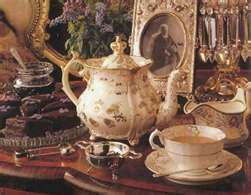 You may have a Intimate TEA FOR TWO with a one night stay if you wish. $70. $21.95 per person plus tax and gratuity 20 people min. Merry Christmas and Happy New Year from the Classic Victorian Estate Inn here in beautiful Nazareth, Pennsylvania ! 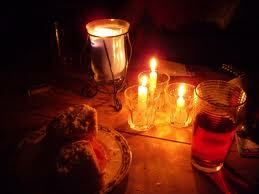 Nazareth Christmas Candlelight Walking Tour in early December from 7:00 PM to 10:00 Pm. Get into the Christmas Spirit and visit our Nazareth Memorial Library with Santa and "The Night Before Christmas". The Whitefield House Museum will be displaying A Christmas Putz, Manger , Nazareth Moravian Church will share Morning Star with Moravian sugar cake along with Holy Family Church celebrating 100 years with traditional Christmas cookies . Celebrate "A Victorian Christmas Carol" at Moravian Hall Square and Dancing and Historical Vignettes at Moravian Hall Craft Shop.